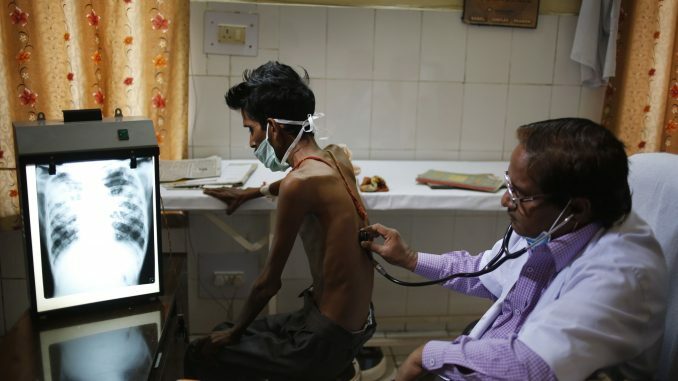 New Delhi : A month after the Health Ministry set itself the target of eliminating tuberculosis (TB) by 2025, a new study in the medical journal Lancet says that India’s TB crisis is likely to get worse. According to the latest issue of the journal, Multidrug Resistant-Tuberculosis (MDR-TB), a version of the disease where patients do not respond to first-line drugs, will become more common than it is now. The report projects that, by 2040, the percentage of MDR-TB will make up 32.5% of all TB cases in Russia, 12.4% of the TB cases in India, 8.9% of the TB cases in the Philippines, and 5.7% of all TB cases in South Africa. The findings are alarming as India is home to the most serious ‘hotspots’ of MDR-TB transmission, especially overcrowded cities such as Mumbai. Not only does India shoulder the highest TB burden in the world, with over 2 million of the 10 million reported cases, it also accounts for the most drug-resistant patients — nearly 1.3 lakh people who do not respond to first-line drugs. It is estimated that each year there are 10.4 million new cases of TB, leading to 1.8 million deaths globally. Nearly 40% of all drug-resistant cases occur in Russia, India, the Philippines, and South Africa – accounting for more than 230,000 cases of drug-resistant disease in 2015. “Resistant TB endangers the health and security of every country. Unless something changes, the day will soon come when we’re facing the international spread of an incurable airborne disease,” said Paul Jensen, Director of Policy and Strategy, International Union Against Tuberculosis and Lung Disease. “When the heads of the G20 countries meet in July, I hope they agree to take swift action against drug-resistant diseases. Later this month, a new Director General (DG) of the WHO will be elected. It is imperative that the new DG mobilises a global response to TB,” Mr Jensen said. Two new TB drugs, Bedaquiline and Delamanid are being used in Europe and the U.S. for several years. But they are yet to be made available in India’s national healthcare system. The drug is available only in six sites across the country, and according to the Health Ministry’s TB report released on Friday, only 207 of the 79,000 patients who need the drug have access to it.